Private Enterprise "Autoclassic" offers the restoration services for vintage cars to all collectors and connoisseurs of beauty and charm of vintage cars. Our company produces high-quality restoration of vintage cars using the full technological cycle of the plant technology. Strict conformity to the specifications and design drawings. CThe word "restoration" is a relative term. We repair and modify vehicles to the desired level of the customer. 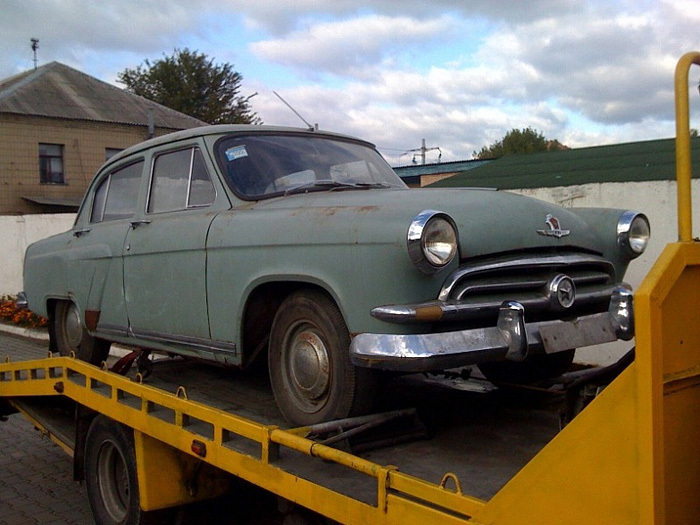 Vehicle condition determines what is necessary to be done in the process of restoration work. The worse the starting point is, the greater work is needed to be done. In general we can say that the better the starting point is, the cheaper is the restoration. 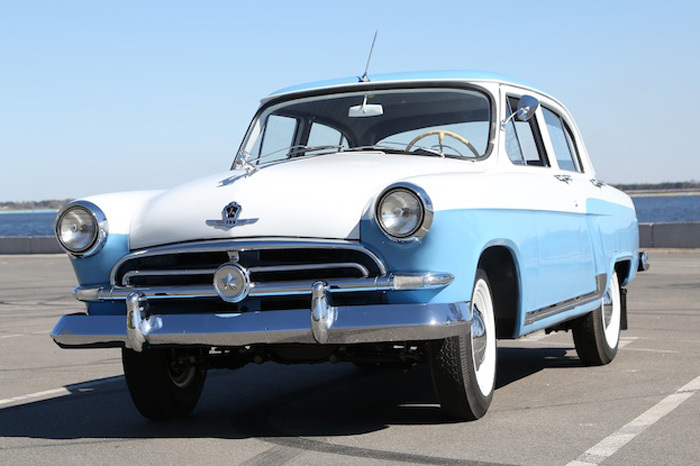 So-called cosmetic or budget restoration is quite sufficient for the car in very good original condition - the vehicle is repainted, rubber parts of the body and interior are upgraded, interior, the diagnostics and repair of mechanical parts are made. Very well-preserved equipment can also be subjected to conservation instead of restoration, the aim of which is to try to stop the wear and defects at the level where they are at the present moment. First stage - demonstration quality. Economy version. If the vehicle is not being prepared for the exhibition purposes, i. e. only for the daily life operating. The usage of non-original spare parts and interior elements is allowed. The restoration of the chrome parts with the paint "chrome" is allowed. Primary repair and diagnostics of the power unit. Second stage - exhibition quality. Absolute performance adjusted to the time and cost. Restoration of chrome parts at the Ukrainian plants. Overhaul of power units. The authenticity of the elements of the interior and exterior. Third stage - museum quality. Full restoration "Luxury". The usage of the production of materials from England and the USA. Restoration of chrome parts at the European plants. Restoration of the vehicle in poor condition always requires complete disassembly. The body is removed from the frame, the whole transmission system and other equipment are disassembled and restored. Thus, all the details up to the lock washers are painted, chrome plated, zinc- covered or otherwise processed to look like new. We are restoring original features to be restored to a state corresponding to the new. If the item can not be repaired, we will acquire a new original one or the modern replica through our extensive network of dealers. If the item can not be found anywhere, we will produce it ourselves. During the car dissembly we check the available equipment with the literature on this model (drawings, parts catalogs, repair manuals, etc.). After that, the original parts list is drawn up requiring replacement or missing parts that need to be completed. After dismantling we carry out thorough cleaning of body and parts. The process of cleaning and removing of old paint and rust on the car depends on the goals, preservation of metal and hardness of reaching the places, it can be mechanical, chemical or manual. Respectively we may use different abrasives. Extensive experience of our specialists allows to take into account all the nuances of tin restoration work. If the damage of the original part is small, it is possible to conduct local repair with a special gentle technology which is important, taking into account the age of metal. If the detail is absent or can not be restored, it is made anew by the original drawings. This is one of the most important steps since frame is the basis for fixing the bodywork and components of the vehicle. 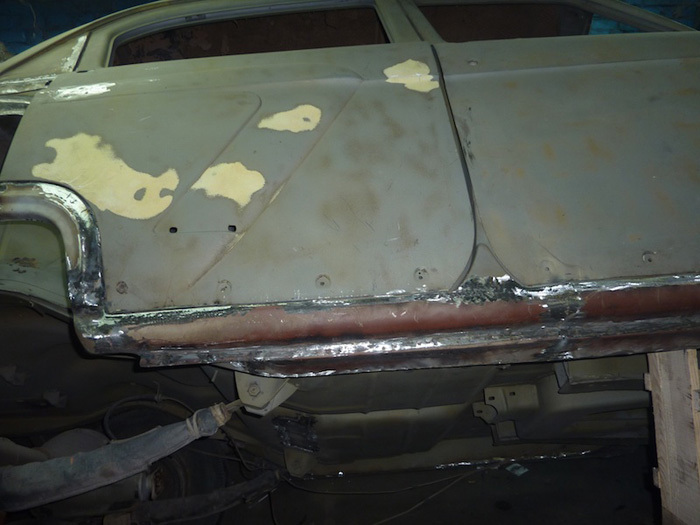 The future security of the recovered vehicle directly depends on the quality of the restoration work. The frame structure is common among old-timers, it is associated with the peculiarities of the design development at the time. Damage assessment of frame deserves a special attention. Usually, after sandblasting all defects are detected, including not seen during the primary vehicle examination, such as cracks and micro-cracks, as well as the deformation defects: torsional distortion of the geometry, the longitudinal and transverse curves etc. The geometrical dimensions of the frame are reconciled with their original drawings, according to which this particular car was created at the time. In the process of work we consider the metal fatigue, the preservation of the original design, and modern safety standards. 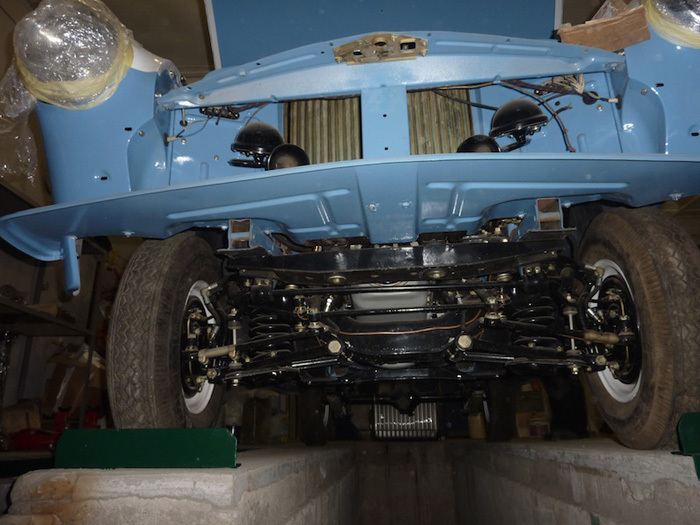 After the reconstitution of the "skeleton" of the vehicle, i. e. its frame, we come to the restoration of the rest of the chassis components and assemblies, such as suspension, transmission, axles, steering components, and engine. The work on the braking system, steering, cooling system, shock absorbers, suspension, and a fuel tank begins right after we take over the vehicle. Very often this work seems to be imperceptible. But the overall picture consists of little details. At least one third of the 3 thousand hours of work needed to restore the car, is spent on these components and assemblies. An important part of the car restoration is the repair and adjustment of the carburetor. Indicators, resource and efficient work of the engine greatly depend on how accurately this work was carried out, as well as the overall perception of the quality of the restoration work. As for the tires, depending on the terms of reference, we offer various options for an authentic rubber mounting or we complete the car with modern tires with original tread pattern. It is a very important stage. Our specialists or subsuppliers perform engine and gearbox overhaul according to the draft proposal, selecting necessary items for the restoration with great care. During the repair of the most exotic or sophisticated engines, drivelines, and axles our company is cooperating with Research Automobile and Engine Institute, where the engineers make all necessary calculations. Chromium coating is one of the most necessary and the most labor-intensive processes of electroplating. Almost all the old cars have many chrome parts which deteriorate and lose their gloss over time. For the long lasting of a chrome coating we need to perform the preliminary preparation of the part surface: to remove old paint, to remove all corrosion spots, to repair the corrosion craters and cracks, to sand and polish the surface. 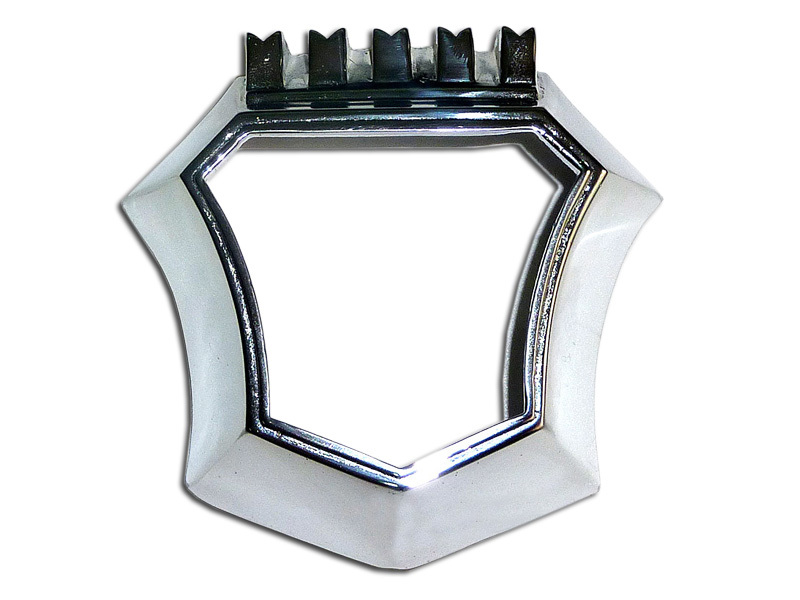 While re - plating, we use a three-layer chrome plating (copper, nickel, and chromium), of only the highest quality category. By this method we achieve the highest gloss and durability. All stages of the plating work are performed entirely manually. We perform car painting with the application of the current technology to achieve the best results during the car restoration. Well renovated oldtimer is perceptible and attractive to the eyes, you can admire its external forms for hours. Needless to say what a significant role properly and accurately carried out painting work is playing at the perception. Therefore, the car body painting is a very serious work that requires special equipment and a high level of experts’ qualifications. Repair and complete renovation of the internal parts of the interior of retro vehicles: cushions and seat backs, side panels, door cards, floor coverings, and leather items. The works can be carried out in the full accordance with the original or other customer’s requirements. Our company uses the services of only the proven experts of the sewing salons. During the manufacturing of wiring harness for the oldtimer being at restoration we can use materials that correspond the wires produced many years ago to the maximum in color and the cross section of wiring. Such a vehicle after the restoration will be ready to withstand the most severe criticism and will have a maximum collector value. PE " Autoclassic" has extensive channels of supply of necessary spare parts and a large reserve stock. In addition, we work closely with a number of clubs, museums and shops, often assisting in finding necessary qualitative missing parts for the restoration - whether it is a small emblem, car hood, radiator or an engine. After the assembly of the car we hold the trial races and the elimination of all detected problems and defects. After that, the car is washed, polished, and delivered to the customer. 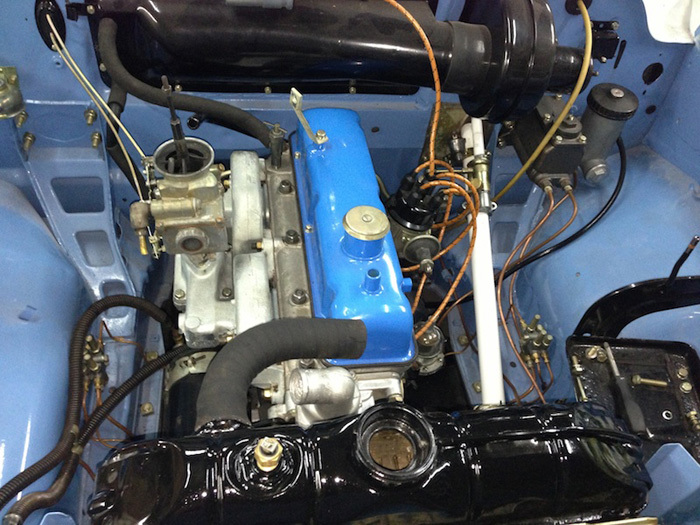 If required, we can carry out further regular servicing of your restored car. Car Restoration is always more expensive than you think. Restoration works last longer than you expect. Improper retro car restoration can negate all costs. Car reconstruction is justified only when you are sure that it is the dream of all your life. However, many people who made the right choices multiply investment in 5-10 years and classic cars become more expensive over time. They are not vulnerable to the crises, ups and downs of the national currency rate, the fall of stock markets or stock quotes. Over the years they become more and more expensive. The pleasure of owning a dream can not be estimated with any wealth in the world.